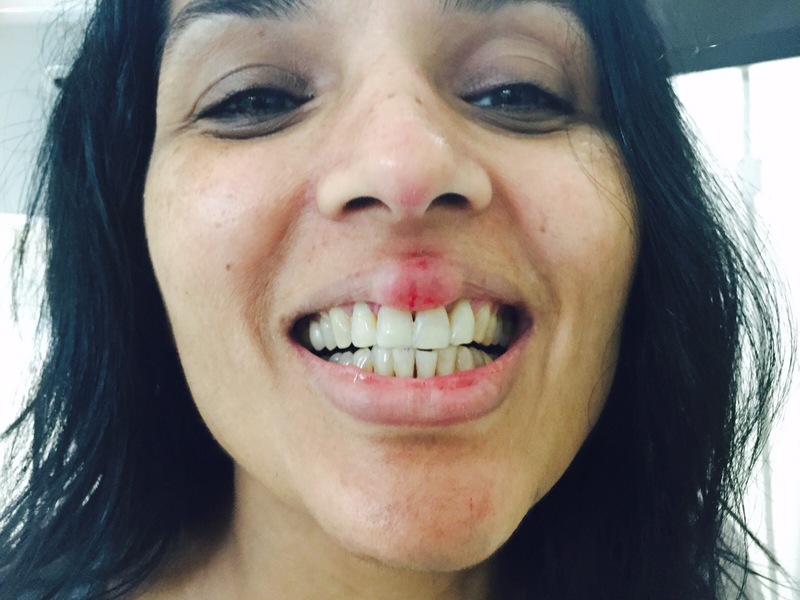 I mentioned in my previous post, how I met with an accident and broke my teeth. 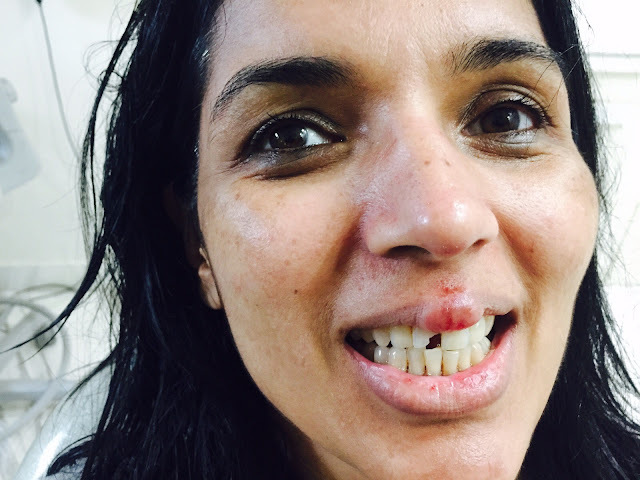 Here is my picture with one tooth broken. The side tooth, adjacent to the broken one has a crack that cannot be seen here. My dentist says, it is a 3rd degree trauma injury. She says the other teeth are stunted. She even prescribed me medicine for trauma. But see the other picture. Within half an hour, she had repaired them cosmetically. Though, still the treatment is going on- root canal, implant, etc. But my dentist assured me that I will never walk out of her clinic with a broken tooth. So I could resume work the very next moment.